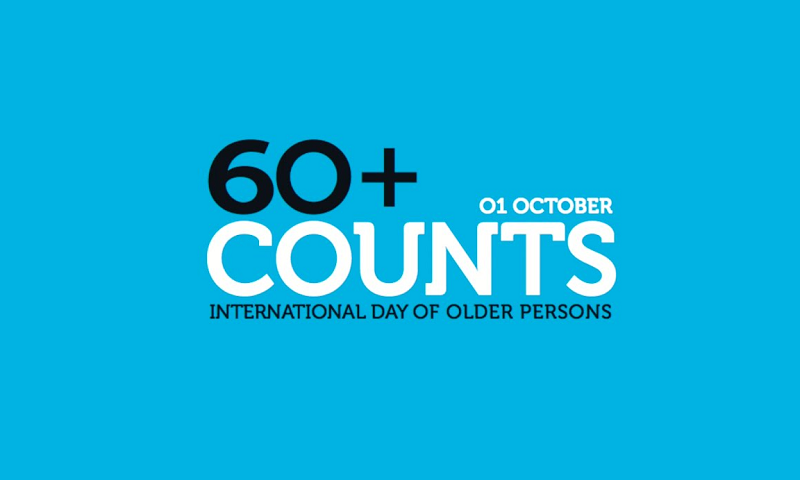 On 1 October 2018, older persons are in focus worldwide. Since 1990, the United Nations have designated this day as the ‘International Day of Older Persons’. Every year, on the first of October, we pay attention globally to older persons, their capacities and potentials, the respect for their human rights, their needs and expectations. Ageing in dignity and without discrimination, in an inclusive society, are central objectives here. We are aware that already since decades international declarations and principles have framed these objectives but… they need application and implementation in everyday life. In view of the 70th anniversary of the Universal Declaration of Human Rights on 10 December 2018, the United Nations International Day for Older Persons celebrates the importance of this Declaration and reaffirms the commitment to promoting the full and equal enjoyment of all human rights and fundamental freedoms of older persons. To concentrate on the importance of human rights and to highlight the role of older persons in society, the International Day of Older Persons on 1 October 2018 focusses on ‘Champions of Human Rights’. The international community calls to thank and celebrate older persons who dedicated their lives to promote freedom, equality, democracy, to fighting against discrimination, to enable people to participate in society at the grassroots or community level, or to advocate for human rights at the international level. As the European Seniors’ Union (ESU), voicing the needs and expectations of older persons, we are glad to be part of this global movement of highlighting the role of older persons in society. We understand this UN-call also as a call for the promotion of more positive images of older persons, underlining universal human rights and the gains and strengths of older people in our societies. We are glad to celebrate seniors’ contribution to societies, in the past and also today, and we underline that the recognition of this contribution must increase. Negative stereotypes, misconceptions about older persons and ageism must be eliminated to improve the participation of older persons in economic, social and cultural life. On the occasion of the International Day of Older Persons, we invite our members and partners in regions and member states to organize meetings with people of all ages and to exchange experiences between younger and older persons, to listen to the life histories of older people and the hopes and expectations of young people to create common perspectives for the future. Our European societies have to cope with unforeseen and unexpected crises and challenges in the socio-economic, political and ethical fields. They have given new life to Eurosceptic and populist movements. This multitude of challenges needs a common engagement of youth and seniors. Only then we will find a way to empower new ‘champions of human rights’ for future societies. European seniors know and have experienced how important the EU was and is for the construction of peace, freedom and security. From a United Europe they expected prosperity and well-being for themselves and for future generations. Also today, seniors expect that the EU will respond to new challenges. It is a responsibility of governments at international, regional and local level, but also of citizens. On 1 October 2018, we celebrate our engagement in the global movement for the promotion of older persons’ rights. We are grateful for what older generations have built in the field of human rights, prosperity and well-being. But we cannot take the future for granted. The creation of sustainable, democratic societies for all, where everyone can grow up and age in dignity needs our daily engagement.